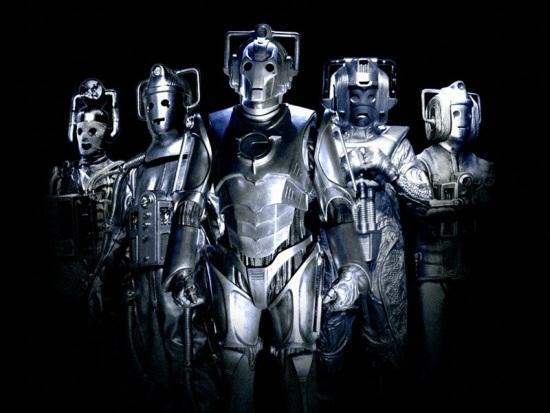 The Cybermen are my absolute favourite Doctor Who villain for many reasons. Not only do they look awesome, have awesome voices (EXXXXXXCELLENT!) and are a chilling concept, but they have historical relevance too. Their first appearance in 1966 (The Tenth Planet, which is also the first regeneration story) was in the middle of the Cold War, where Communism and nuclear war were dangerously close. What are the Cybermen’s gain? To turn everyone into them. Their catchphrase (not “Delete”) is “You belong to us. You shall be like us”. The basic aim of Communism is for everyone to be equal with no rich or poor. The Cybermen exist without gender, names or emotion. Both of them represent a totally equal and harsh world. They also represent the rise of technology and how people lose their identities and emotion to them, which was a theme used in Dark Water extraordinarily well. The Series 8 finale is my second favourite Cyber story after Earthshock, which has the debut of the Excellent Cybermen. The Silence are a fascinating concept as both monsters and as an organisation. But something which I’ve noticed about them is how there are many parallels between them and the real life religious extremists, people who claim they are part of their religion when the religion itself shuns them. The Silence are an offshoot of the Church of the Papal Mainframe, who help the Doctor fight the invading forces on Trenzalore. While the main church and the confessional priests (the “Silent” creatures) are good and help the Doctor, a rogue bunch, led by Kovarian, blow up the Tardis and when that fails launch a scheme to kill the Doctor to prevent him from reaching Trenzalore (all of this is some of the best plotting I’ve seen on the show incidentally). This is basically an exaggerated form of reality, where groups of people “apparently” uphold the laws of their religion (“Apparently” in huge sarcasm marks). The Silence believe that death and destruction is a good way of achieving their aims, just like the extremist groups of in real life. This one is pretty obvious, but it still needs pointing out. 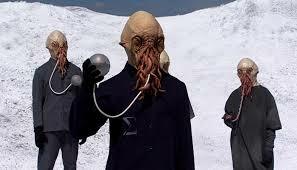 The Ood are one of the most iconic New Who monsters and it’s easy to see why. In a modern age where slavery is a thing of the past, it’s great that the Ood exist to show what the horrors of slavery were. They are clearly meant to be black slaves in the 19th and 18th centuries and the Ood Corporations are a metaphor for the rest of the world. The ending of Planet of the Ood shows that they are free which mirrors the end of slavery. If the Ood come back it needs to be a story which tells the audience what the Ood represent and uses it to tell a great story. 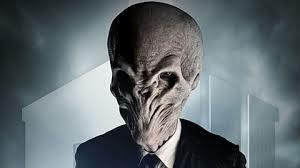 Incidentally, the Ood are probably the only Doctor Who alien to not be in a bad story (The Satan Pit, Planet of the Ood, The Waters of Mars and the Doctor’s Wife are great and I remember liking the End of Time when I saw it). So that is some creature symbolism. What other famous Who foes do you think represents the real world? I think you may be reading too much into this. All monsters have to be extreme in some way otherwise they would not be monsters. I like the analogies that you have used, but I do not think that the original intention of the writers was to put across some sort of subliminal ideological or socialogical message.